Perhaps you have seen photographs of the famed Amalfi Coast, where colorful terraced homes nestled into cliff-side hills climb from the deep blue Mediterranean Sea. 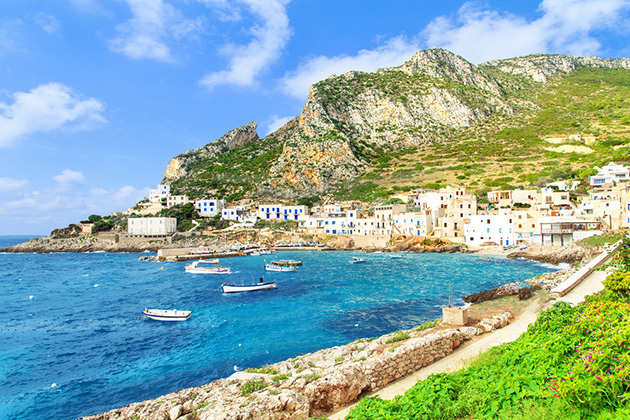 These port towns, south of the Sorrentine Peninsula in Italy, were not highly accessible via roads until the past 100 years, when the area first became popular for the upper class. Artists came in the 1960s, looking for utopia. The artistic vibe remains, along with the upper-class setting, and today the coast is a UNESCO World Heritage site, drawing summertime crowds. Yachts and sailboats moor off the coast of Positano and Amalfi, and cruise lines deposit their crowds. Mopeds and convertibles hug the narrow roads that twist and turn along the cliffs, as tour buses lurch between the towns. Fresh produce is abundant, which combined with fresh seafood, makes dining along the Amalfi Coast a feast for the senses. Trees bearing olives, lemons, limes, oranges scent the air with a perfume that mixes with the salty sea air. Amalfi, Positano and Ravello are the largest towns that line the coast, each with plentiful shops, ristorantes (restaurants) and cafes -- allowing plenty of opportunities to enjoy a taste of la dolce vita (the good life) when stopping for a quick visit. If you have a full day, hop a ferry to the isle of Capri for a less-crowded excursion and the chance to snorkel and explore caves and coves. 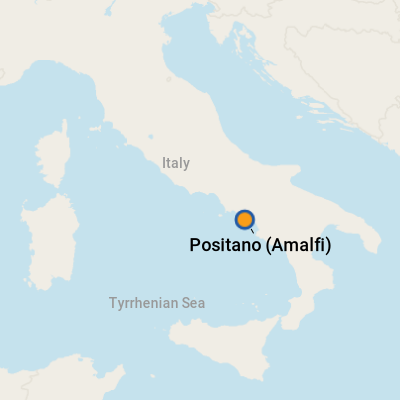 Amalfi was once known as the Duchy of Amalfi, essentially an independent state, and was the capital of the maritime republic between 839 and 1200 A.D. Amalfi remains the largest port along the coast, with the town beginning directly across the street from the pier (most ships tender). Some ships stop in Positano, which also requires tendering to town, which begins right off the dock. The town of Amalfi is just steps from the pier. Cross the street to find cobblestone streets and alleyways winding their way up into the hills. The main piazza in front of the Amalfi Cathedral is often bustling with visitors enjoying gelato as they peruse ceramic and linen shops or sipping limoncello as they people watch from cafes. Ferries from Amalfi to Positano take about 30 minutes and drop visitors before another very upscale town with steeper alleyways and streets lined with shops and restaurants that will cost a bit more than Amalfi. A large stretch of beach with dining options providing drink and snack service is also bustling during warm-weather months. Positano is a hot destination for Italian summer vacations and weekends. The towns climb steeply into the hills. Many destinations might require climbing many steps. They are not stroller- or wheelchair-friendly, and those needing assistance might only be able to visit the lower areas of the towns. On Foot: If you are staying in Positano or Amalfi, you won't need to worry about a taxi or bus because the towns are steps from port, and roads are not plentiful. By Taxi or Bus: If you'd like to see other towns along the Amalfi Coast, you can hire a taxi at port. Buses operate between Amalfi and Positano. By Ferry or Boat: The best way to visit multiple towns along the coast to is to hop on the frequent ferries that travel between Positano, Amalfi, Ravello and the island of Capri. Boat rentals are also available for those who want the freedom to move along the coast at their own pace and visit areas ferries do not reach. Rental prices depend on the size of the craft. Boats are available for full- or half-day rentals. Italy, as part of the European Union, uses euros. For updated currency-conversion figures, visit www.oanda.com or www.xe.com. ATMs will dispense euros using your debit card and are the cheapest way to acquire the currency. Credit cards are accepted in shops and restaurants in the busier areas of town, but you may find you'll need cash in smaller shops and eateries on side streets or off the beaten path. Local exchange shops are available, but will charge higher fees than your bank. Italian is the official language. Most people you will encounter will speak and understand some English but probably will have a heavy Italian accent. You might need to use a little charades to help communicate. Remember grazie, which means "thank you," and you'll receive smiles for the effort. Follow the main street of Amalfi, past the cathedral and the gelato stations, choose any restaurant with its doors open to the outside breeze, and you won't go wrong. Seafood is a mainstay there, with squid, shellfish, clams and sardines often used in pastas, entrees and sauces. Pizza got its start just a few miles down the coast in Naples, and pies with tangy local tomatoes and fresh cheese -- buffalo mozzarella is a specialty -- are offered everywhere. For dessert, look for sfogliatelle, a stuffed shell pastry that defines Italian baking. Lunch is the main meal of the day, and many restaurants serve fixed-price menus. Locals generally don't eat before 8:30 p.m.
Ceramics decorated in sea blues and lemon yellows are popular items found in Amalfi Coast stores. From serving ware to drink ware to dinnerware, shops carry plenty of options to take home and decorate your kitchen or dining room. The drink of choice along the Amalfi Coast is limoncello, an alcoholic lemon liqueur meant to be sipped in small quantities (because of its potency). The region's lemons, known as "sfusato amalfitano," grow as large as melons, and many locals have their own recipes. You'll find limoncello in every restaurant, as well as sold in many of the trinket shops lining the streets.